The Best hat I have ever have had.I have a big head size 8 and it fits perfectly. First of all thank you. I continue to get my hats from Big Head Caps. I was pleasantly surprised by the quality of this hat. It fit perfectly. 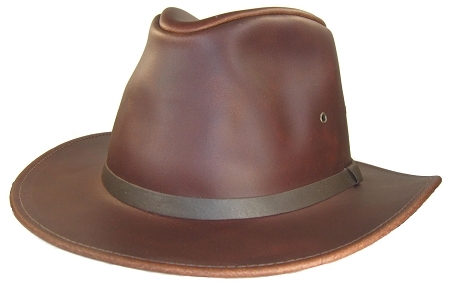 I got my son the Rust Safari Leather Hat, size 3X for Christmas. IT ACTUALLY FITS!!! He never has been able to get a hat large enough in any regular stores; he is so happy; we will definitely be regular customers! I've got a big head, that's why I was shopping here. And my 26.5 inch crown is nicely protected from raindrops with this very water repellent hat. Unlike my others, this hat is not going to get soaked through, so it's my go-to for sitting in my spa when it's sprinkling that day.